Nearly 85/100 on Whiskybase is a very good score where someone comments “Pretty drinkable and enjoyable. Really not bad.” This is for the 198ml bottle. My example is the 48ml miniature which scores 87/100 from one vote here. 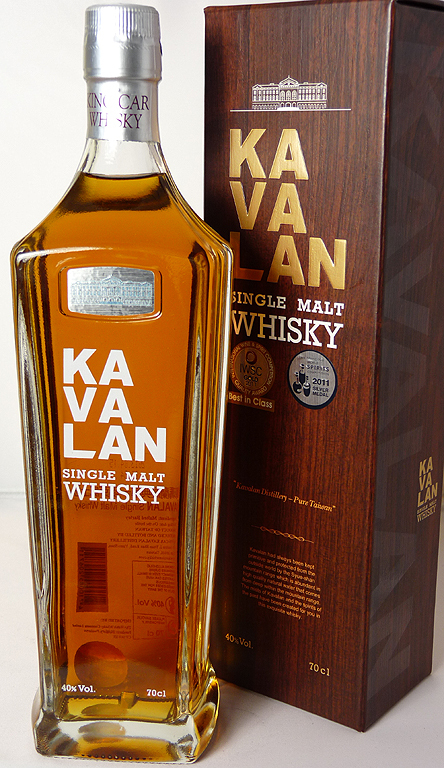 Kavalan distillery was founded in Taiwan in 2005 and released its first bottlings in 2008. Since then it’s gone from strength to strength, picking up awards and getting comments like “somehow managed to make this Taiwanese malt more top quality Scotch in character than anything of its age you can find in the Highlands” (quote from Jim Murray, Whisky Bible 2014, about the latest Kavalan ‘Sherry Oak’). 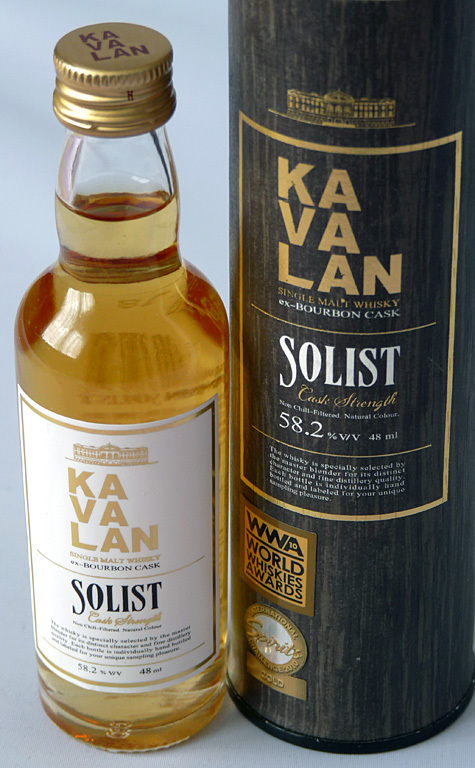 If you haven’t tried Kavalan I’d recommend tracking some down. The entry-level NAS (non aged statement) bottle can be found in certain supermarkets here in the UK and is excellent (scoring 91/100 in the latest Whisky Bible).